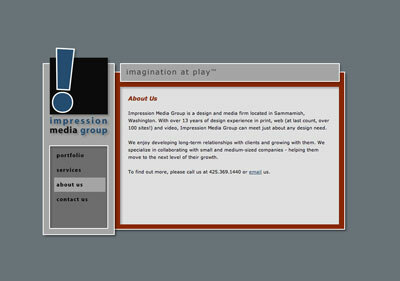 Won’t you join me on a brief trip down Impression Media Group website memory lane? 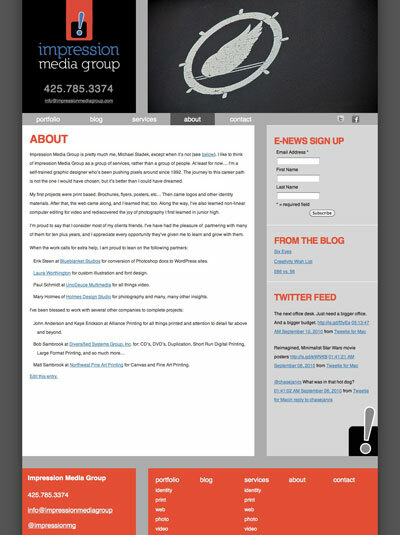 The drop shadows are (mostly) gone and gradients are given a prominent place. 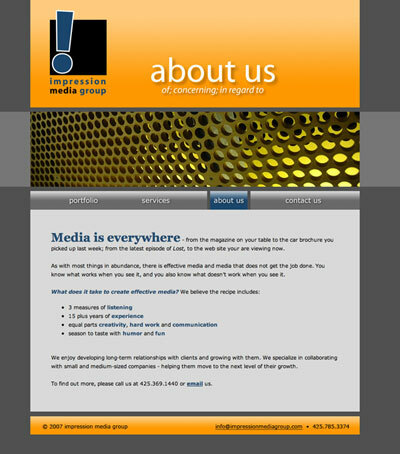 Custom photos are featured throughout the site, and the logo remained unchanged for six years. What a difference six years makes! It’s a great exercise to reflect upon my changes in experience and style over the years. How have you grown and changed in experience and style over the years? What has remained as a style constant for you during those years?